Topics: Internet Yarn Sale, and Manhattan Yarn Sale. ns2.access.net, and ns1.access.net are its DNS Nameservers. It is hosted by Panix Public Access Internet (New York, York,) using Apache/2 web server. 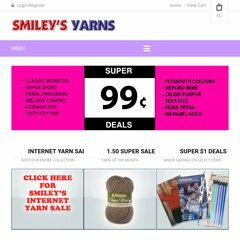 Dollaryarns.com's IP address is 166.84.4.107. PING www. (166.84.4.107) 56(84) bytes of data.